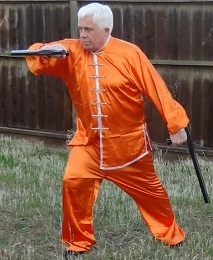 We will use the classical Tai Chi Chuan sequence most commonly known as Brush the Bird's Tail to explore unarmed and armed tactical applications. 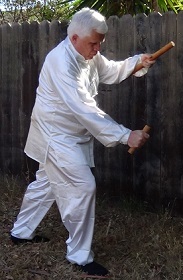 After a brief introduction to Grandmaster Cai San Fang's Wu Ji style seated meditation, breathing and standing, the students will see examples of the Brush the Bird's Tail sequence from several major styles of Tai Chi Chuan followed by the use in the other widely known internal Chinese martial arts of Bagua Zhang and Xing Yi Chuan as well as the venerable art of Ba Ji. 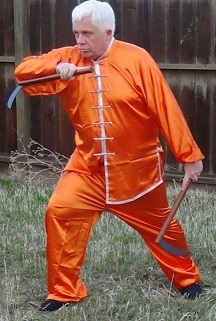 Students will then learn Chen Family style Tai Chi Chuan's 19 move short form as taught by Grandmaster Chen Xiaowang. 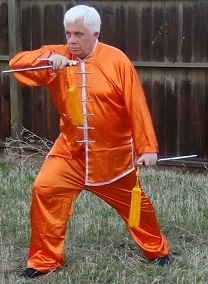 Beginning in a unarmed situation we will focus on just Brush the Bird's Tail, and will explore the purpose of the left hand and arm, the function of the hips and the tactical choices for the right leg. The dual possibilities of the right forearm as a block and as a strike will be examined in the context of the enemy engaging. After some illustrations of Brush the Bird's Tail in san shou (push hands, otherwise known as light sparring) we will move on to weapons. These will begin with the four little brothers of karate (clockwise from the top): yawaras, tonfas, sais and kamas.